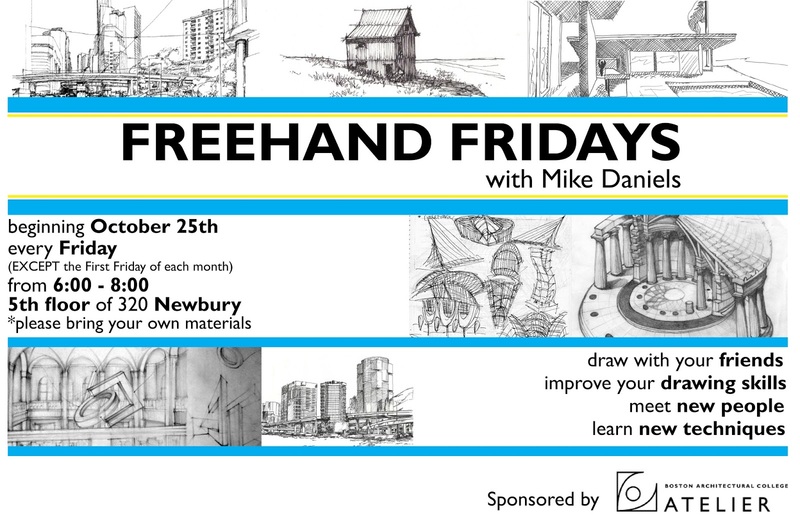 Mike Daniels, Director, Foundation Student Support, will be in the 5th Floor Studios every Friday (except the first Friday of each month) while classes are in session, from 6-8 pm to help you improve your drawing skills. Freehand Fridays are a great chance to learn new techniques, meet new people, and draw with your friends! Please bring your own materials, as materials are not provided. 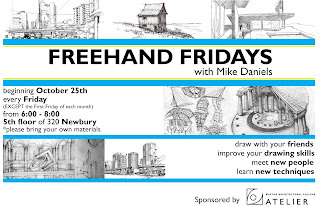 Please note: attendance at Freehand Friday is not intended to replace a course, and attendance does not count for course credit. Have questions? Email workshops@the-bac.edu. This on-going workshop has been brought to you by Atelier, YOUR Student Government.